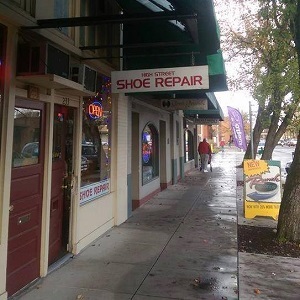 We are a family owned shoe repair shop located in the historic Bligh Building in downtown Salem, Oregon since January of 1990. Our location has been home to a shoe repair shop since 1926. George learned the shoe repair trade in San Francisco and owned Marina Shoe Repair from 1983 – 1989 in the Marina District of San Francisco, California. 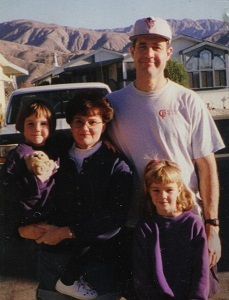 After the 1989 San Francisco earthquake George moved to Salem, Oregon to enjoy everything the Pacific Northwest has to offer and bought High Street Shoe Repair in January of 1990. We are a husband and wife team with George the sole cobbler so you can be assured you will receive the best craftsmanship and care for your shoes that comes with 40 years of experience.